popular martial art forms in the world, which is now bring practiced in all places globally. hands and feet are most used for blocking and attacking during self defense in a fight. 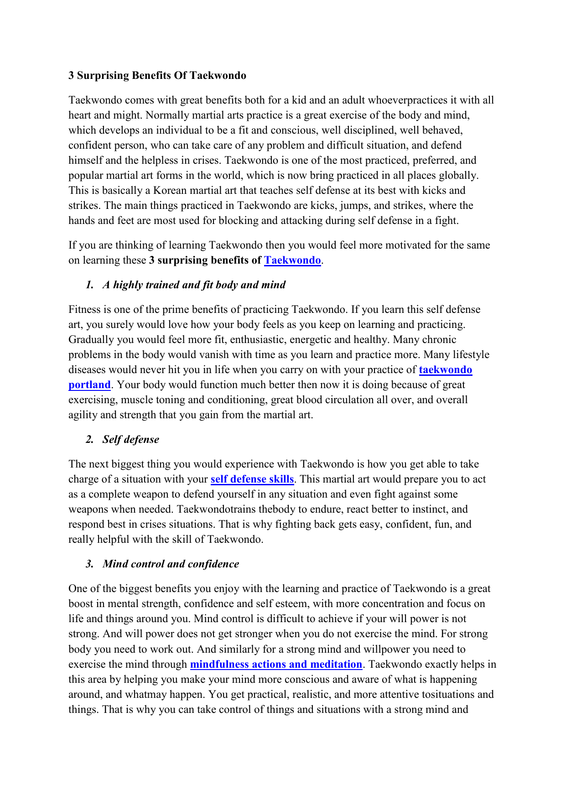 on learning these 3 surprising benefits of Taekwondo. art, you surely would love how your body feels as you keep on learning and practicing. agility and strength that you gain from the martial art. really helpful with the skill of Taekwondo.